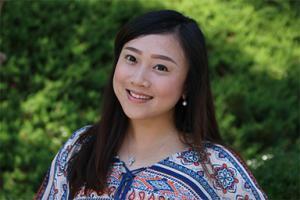 Jennifer Wan’s story is one of God reaching out to someone who wasn’t even aware He existed. Raised in an atheistic family, her parents sent her to study at Galway-Mayo Institute of Technology in Ireland. There she was invited to church. Although she initially refused the invitation, she eventually consented to attend a service. Her English was not very good at the time so she couldn’t understand the preaching, or words they sang, yet she experienced great peace and even cried during the worship. Over time, she received a Chinese Bible from a woman in the congregation, and began to listen to sermons in Chinese. One sermon especially spoke to her to the point that she wanted a relationship with Jesus Christ. She then persistently sought to be baptized, but realized she had much to learn about what it truly means to be a follower of Christ. God orchestrated things so that Jennifer also earned her master’s degree in Ireland leading to an internship with the BBC (British Broadcasting Corporation) and later a job in TV broadcasting in China. 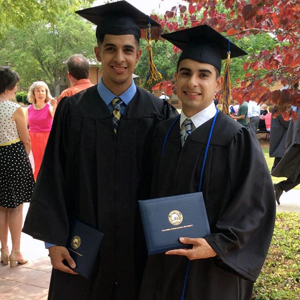 For Guillermo and Augie Arce-Ruiz, donor scholarships changed their lives. 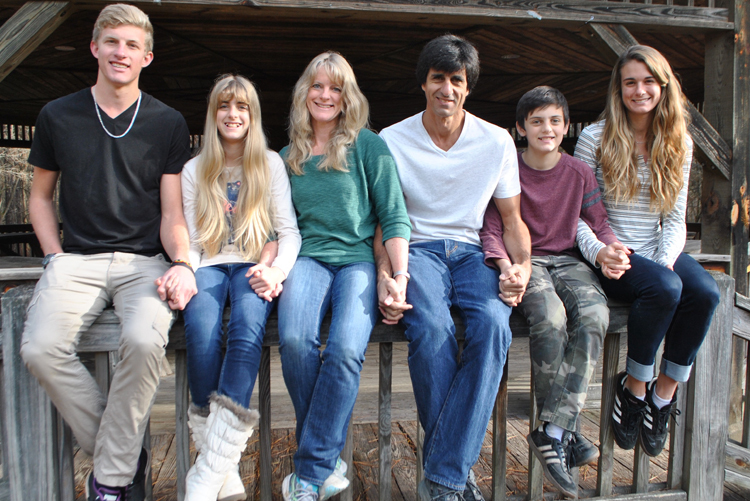 The brothers are originally from Mendoza, Argentina but have been living in Beaufort, SC for over 16 years. Both graduated in 2017 with a degree in business and organizational leadership, as well as the bible major every CIU student receives. Augie was the first to attend CIU as a freshman. As he puts it, “I wasn’t originally looking into CIU… However, God put this opportunity before me due to my situation… everything fell into place and it was amazing.” It was the life-changing experience CIU offers at work in Augie’s life that later influenced Guillermo to attend CIU as well. The brothers both played soccer for the Rams, and Guillermo is especially thankful for Coach James Whitaker, who was a role model and mentor in his life. Guillermo now works for Grow Financial Credit Union, seeking to help others with financial matters. Augie works weekdays at a human resources company assisting with the Hispanic community, and on weekends he works with the Charleston Battery soccer club. He hopes someday to enter into the business side of professional soccer. David and Michelle Mallard remember the day their son received a phone call from the Columbia International University Financial Aid Office informing him that a significant institutional scholarship was available to help pay for Daniel’s education. As part of the very first soccer team ever fielded by Columbia International University, Daniel would go down in the record books as the first CIU athlete to score a goal. Daniel earned his bachelor’s degree in Teacher Education in 2016, and is currently at CIU working on a master’s degree in Teaching English as a Foreign Language (TEFL). Meanwhile, David and Michelle’s daughter Esther was the recipient of the 2015 CIU McQuilkin Event where dozens of eligible high school seniors compete for a full-tuition scholarship. 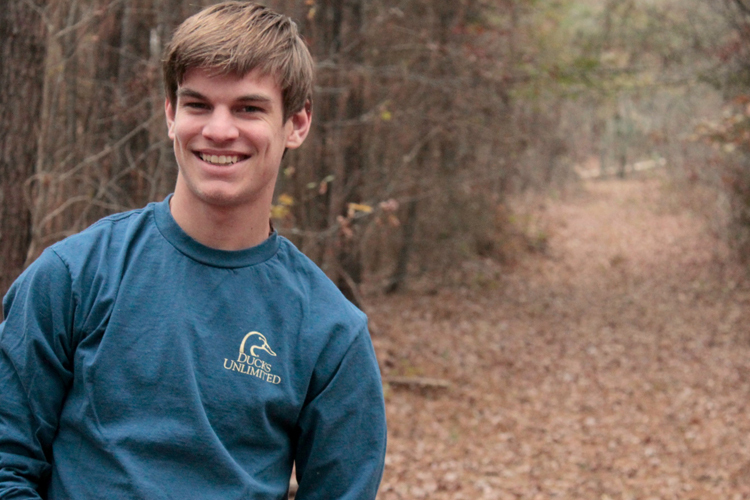 Sam Senseney, a freshmen at CIU, is thankful that his professors want to know him. “They want to get deep,” Sam said. 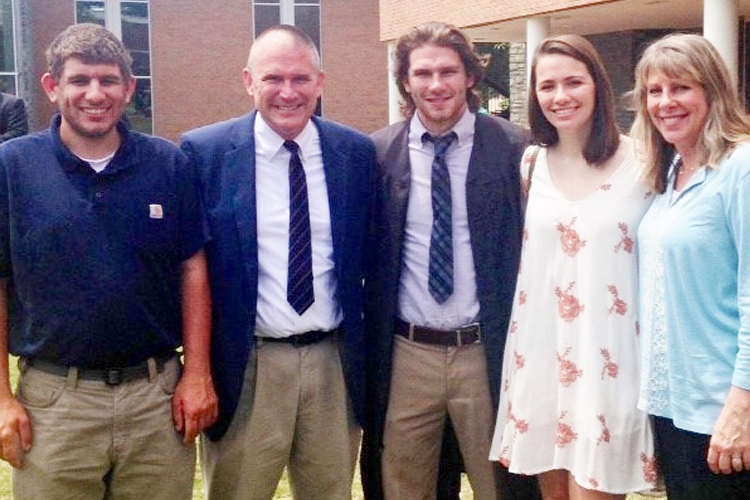 That is what Sam has needed from those around him at CIU after his back was broken in an interstate traffic accident in South Carolina in 2015 — the accident that took the life of his father and injured his older brother Flynn, now a senior at CIU. The accident came about a year after their mother’s death. Even though Sam has healed from his injuries, he still has a lot of “why?” questions for God. 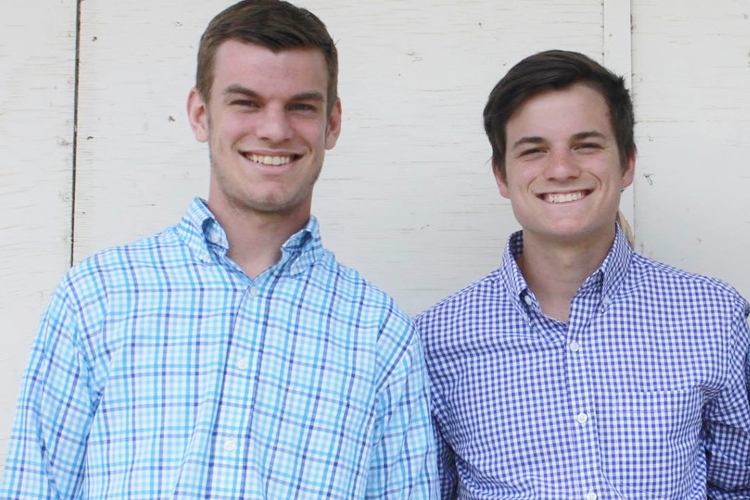 As for his older brother Flynn, a senior, life’s hurdles could have blocked him from continuing at CIU, but he returned and looks forward to graduation and serving the Lord with his life. “Used by God to refresh our spirits!” As Columbia International University alumni Michael and Darilyn Battermann minister in Africa, their children Alanna and Doran, study at CIU. The Battermanns say that as they raised Alanna and Doran, they fervently prayed that they would have a heart for the lost and would be zealous for world evangelization. They want CIU’s faithful supporters to know that they are a part of the answer to those prayers. Lydia Lorenson’s spiritual guide died of cancer when Lydia was 12 years old. That guide was her mother. With a new life in Christ, she needed new direction. Relatives who were CIU alumni recommended she enroll at their school. “I saw that CIU has a Psychology major. I excelled in that,” Lorenson said. Now Lorenson wants to assist those who are experiencing the same kind hurts that she experienced growing up and give them hope through Christ-based counseling. To the scholarship donors, Lorenson adds, “Thank you, thank you, thank you, thank you. When Malcolm Campbell’s mother drove him from their home in Chicago to enroll at Columbia International University, she was making a huge sacrifice. The single mother of 13 children believed so much in her seventh child getting a CIU education that she scraped together $7,000 to get him started at the school he strongly wanted to attend. Because learning disabilities brought challenges for Malcolm, he had to work hard his first couple of semesters to bring up his grades to qualify for certain scholarships, which he did. 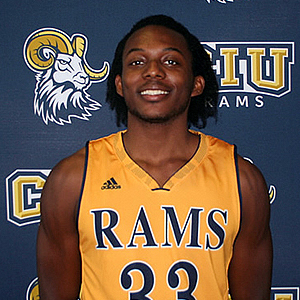 He also earned money working in the Dining Hall, and somehow found time to play on the CIU Rams men’s basketball team. Consequently, Malcolm is grateful for scholarships funded by CIU donors that has freed up some of his time, as he works toward completing his bachelor’s degree in Church Ministry. Flynn Senseney grew up in a broken home. That was hard enough. But then his mother passed away in April, 2014. In July of 2015, Flynn, his two brothers and his father were traveling in a car on Interstate 26 in South Carolina, when they were involved in an accident. Flynn’s father was killed and his brothers were seriously hurt. Flynn has a message for the scholarship donors that are helping him stay at CIU. As for the future, Flynn’s plans are to possibly go to seminary, with the end goal of becoming a missionary pilot to help serve other missionaries and most importantly, the Lord.